Is it just me or the Macias sounds the most like a flattop acoustic? Of course with the volume and the projection they're known for. It has very strong bass and treble and not much in the middle. I think the '64 is my favorite sounding, just so buttery and warm. The '89 sounds wonderful but has a bit too much buzz in the bass. But then it also depends on how old or new the strings are on all of them. Which years or models do those very nasally Favinos fall into? Is it just me or the Macias sounds the most like a flattop acoustic? The 90s and later JP Favino stuff really varies as he changed the design so much but even so, many of his guitars still have that characteristic Favino nasalness. This '77 Favino was probably my favorite guitar I ever played at Chicago's Caravan guitars. My band mate John subsequently bought it. I can't hear anything nasal in it's tone. Very lively tone, clean and bright but pleasant. Built by the father then the son was doing some neck work. Every time I played it I would be enchanted again. We really do love our gear don't we. I love Favino guitars. One of the most amazing thing about them and something that a lot of people don't recognize is that Jacques (and now Jean-Pierre) were making guitars for the professional musician who played a lot of different styles of music because in the old days thats what a guitarist had to do to make a living. It's not much different then today. I'm happy to call Jean-Pierre a friend. We've spent a lot of time together talking about music, guitars, life, nature, art - what have you. Personally I think he's a way better luthier than his father was and I'd rather have a JP from the 1980's-present than a 1960's-1970's Jacques. 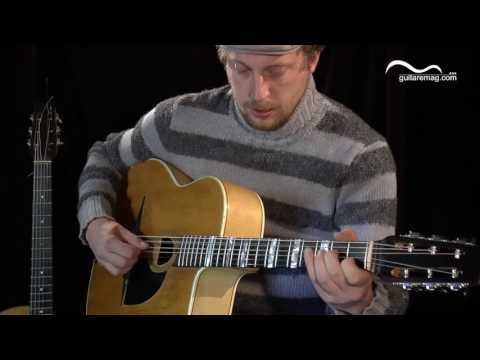 It's not the classic sound, but what he can do in terms of taking someones wishes for a particular sound and creating a guitar around that is simply incredible. He said he builds the same way in regards to adaptability. I've done a bunch of sessions for a company that provides music for commercials, film, TV. The most recent one required a fingerpicking ragtime thing, so I used Blind Boy Fuller as an inspiration (changes to "Truckin' My Blues Away") and I used a guitar JP made me in 2007. The people who heard the playback loved the sound of my *acoustic guitar*. Not my "gypsy" guitar. Matelo Ferret played Russian, Baltic, Corsican, Spanish as well as the standard Django material on a Favino. 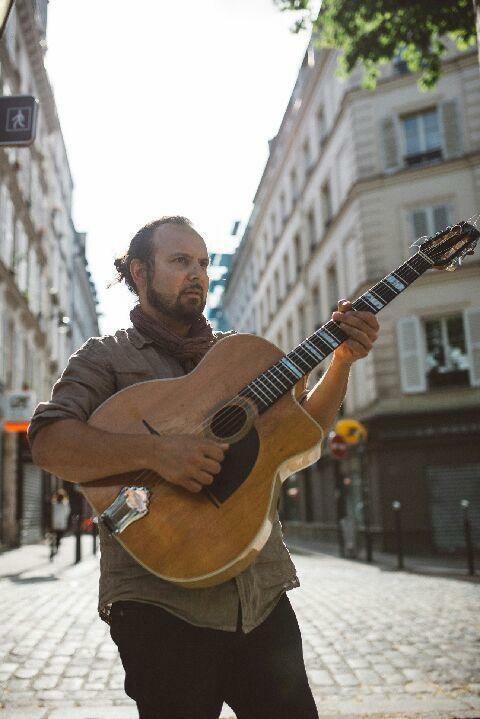 Maurice Ferret played for Spanish ex-pats in Paris where he played his take on Spanish flavored tunes ( basically his "Le Train Gitan" record) on a Favino. Someone out there owns a Favino that was bought from Jacques Mazzoleni that has a patch of wood on the lower bass bout which belonged for years and years to a street singer who played everyday singing French songs. 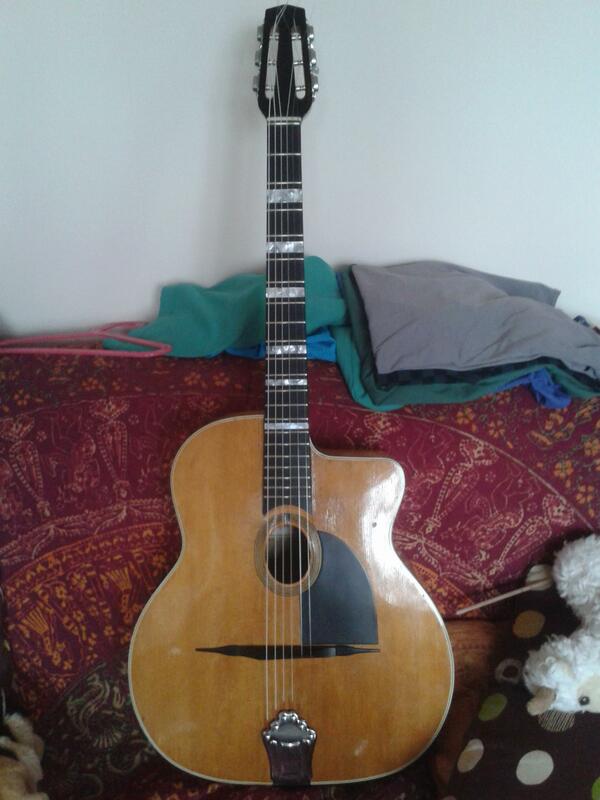 There is a friend of mine who has another Favino from the 1980's that was owned by another street musician who used to play by The Louvre. These days I feel that many luthiers (not all!) are building guitars that all sound alike: bright, brash, trebly. They are one dimensional in sound and application and I don't think that it would be possible for most contemporary instruments to be that adaptable. JP always says that any maple bodied guitar from the Favino workshop is intended to sound bright. It's what Enrico Macias and the Corsican guitarists wanted: bright, cutting sounding instruments. I've never heard a maple bodied Favino that wasn't pretty one dimensional in terms of sound and I've owned four. He loathes the sound of the cedar models from the 1970's and 1980's because he says they sound great in the beginning by die very quickly. I never asked why he used it to begin with. To me, these are the best guitars I've every owned or played. If I could own every single Favino I would. I hope everyone out there gets a chance to play a great sounding Favino from any vintage. PS: For those interested in ordering a guitar from Jean-Pierre the base price for a guitar is 4500€. That's the no frills model which I believe is like the d-hole Michael currently has for sale. The current wait time is 2 years. I know that because he's building me a guitar now.